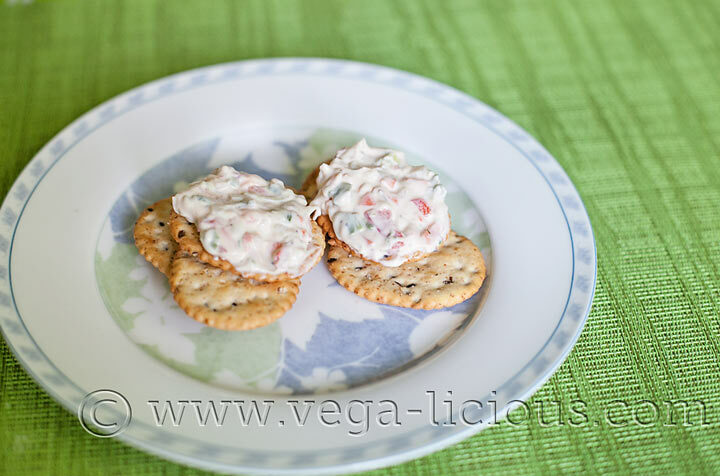 One of my favorite things, before my vegan and healthy days, used to be buying delicious garden veggie spread, spreading it over crackers and indulging in it with a cup of hot tea. 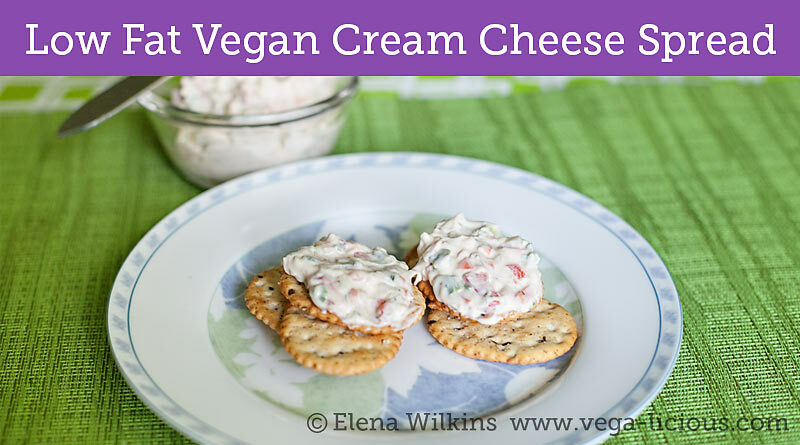 After I had lost my senses and gone vegan, I still figured out a way to make this treat–I simply used vegan cream cheese and stuffed it with all of my favorite fixings. But, then I got smart and gave oily foods a boot, which left me wanting. However, I decided that the sacrifice was worth it…until I found a way to “have my cake and eat it too”–I recreated my favorite garden veggie cream cheese spread in a heart healthy, low fat version. And today I am sharing it with you, because I love you all so much! I know that you will LOVE IT! You can spread it over anything you love–bread, tortillas, lettuce leaves, and feel no guilt whatsoever! Make it. Enjoy it. Share the recipe with others. Take pictures of your creations, then share them in the comment section under this post–I would love to see what you come up with. Make it! Love it! Share it! Tell others about it!